Eden Torresi has every reason to wallow. Not only did she have to sell her house to pay for her mother’s medical expenses, but she also had to drop out of school and is in a relationship with a guy unwilling to commit. But Eden isn't the wallowing type. Instead, she chooses to spend most of her time taking care of the seniors at Silver Linings Assisted Living. When she learns that her boyfriend's new roommate is down on his luck, her caring nature makes her want to reach out to him and offer what help she can. 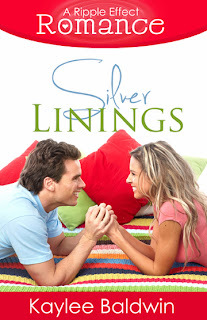 But the more time they spend together, the more complicated things get, especially when the seniors of Silver Linings decide to play matchmaker.